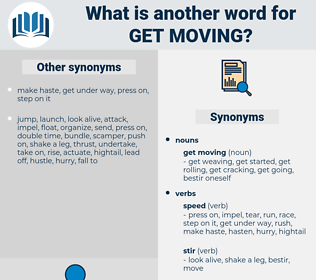 What is another word for get moving? 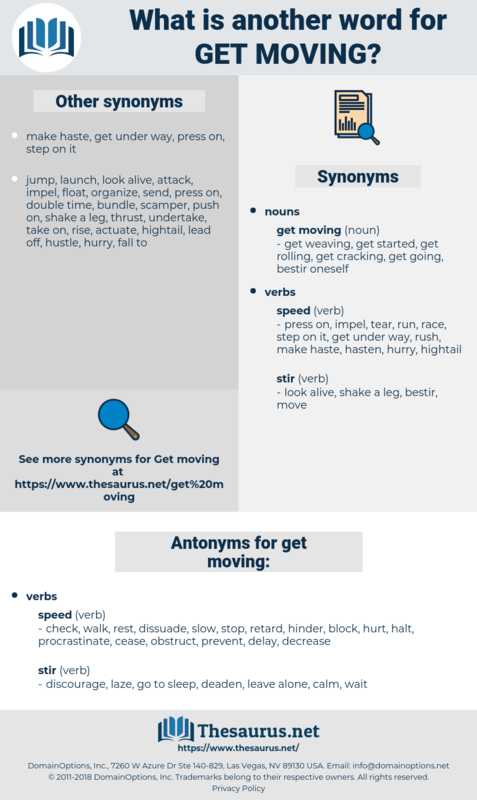 check, walk, rest, dissuade, slow, stop, retard, hinder, block, hurt, halt, procrastinate, cease, obstruct, prevent, delay, decrease. discourage, laze, go to sleep, deaden, leave alone, calm, wait.